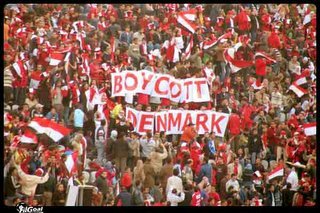 There was also an ad on the side of the pitch saying, "Be Fair Play - No To Racism," but I'm not sure whether it was about the Danish thing. Do you really want to give up these things? Come to think of it, maybe they can keep Aqua. For the serious debate, check out the comments thread on my last Danish post.